West Midlands MEP James Carver is calling for more action to combat rural crime after latest figures reveal the cost to Worcestershire has soared by almost a third. The county was the 10th worst hit in the UK in 2016 with the NFU Mutual reporting the cost tipped over the £1 million mark, an increase of 28.8 per cent. Warwickshire suffered a 13.4 per cent rise in the cost of rural crime and Herefordshire a 2.6 per cent increase. There was better news for Shropshire and Staffordshire where the cost fell by 5.6 per cent and 4.3 per cent respectively, but the NFU Mutual reports that although the national cost fell by 4.3 per cent last year, figures for early 2017 suggest it is rising again. Mr Carver, who lives in Worcester and has offices in Kidderminster, said the increase in the county was “deeply concerning”. Rural crimes can range from mass illegal hare coursing, sheep rustling and dog attacks on livestock, fly-tipping and illegal waste dumping to thefts of farm vehicles, machinery, fuel, tools and equipment. Mr Carver, a UKIP member, said: “Farmers and landowners can take action to help themselves with schemes like Rural Watch, by using trackers on tractors, infra-red surveillance in their farmyards and even DNA markers to protect sheep from rustlers. “West Mercia Police has a Rural Matters Campaign and, in partnership with Warwickshire Police, developed a five-year rural crime strategy in 2014 and yet we are still seeing unacceptable levels of rural crime. “The impact of such crimes can be devastating to livelihoods and individuals and our police need to work more with those who shape our rural communities to ensure they understand and address these issues. 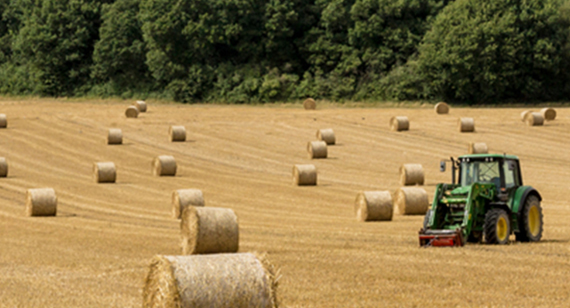 The UK's leading rural insurer. NFU Mutual's Rural Crime Survey 2017 shows developing trends, most targeted items and tips on crime prevention.